Whether it be to grandmother’s house, a restful cabin getaway, or just busy out shopping, winter time is the time we may let our health protocol slip and not be prepared for the bumps, bruises, and germs that may come our way. Planning ahead for winter travel is critical to saving money, time, and health reserves when away from home. During the winter months, our bodies are in need of extra nutrients, vitamin D, and rest to accommodate our busy schedules and lack of routine. Many ancient societies believe the immune system goes down and resets at the changing of the seasons, which also happens around the holidays. That means that more illness could be headed your way during the winter months. Add to that financial stress, the busyness of the season, increased sugar intake, and it really is no wonder so may fall ill in the winter. Before you go on your next trip, be sure your winter health protocol is on point. During the solstice times, consume change of the seasons teas and soups to load up on the vitamins and minerals your body needs. Cut out any lingering toxins — such as unfiltered water — by having filtered water always handy. Up your vitamin D intake. If you can, spend as much time in the sun as possible. For those in the most of the northern latitudes, you can’t really get enough in the winter months from the sun. So, supplement with a 5,000 IU quality vitamin D supplement per day (for adults). Filtered water, or your filter. Epsom salt and essential oils for calming baths. Now that’s a great start. But what about if you are traveling and won’t have your entire natural medicine cabinet with you? 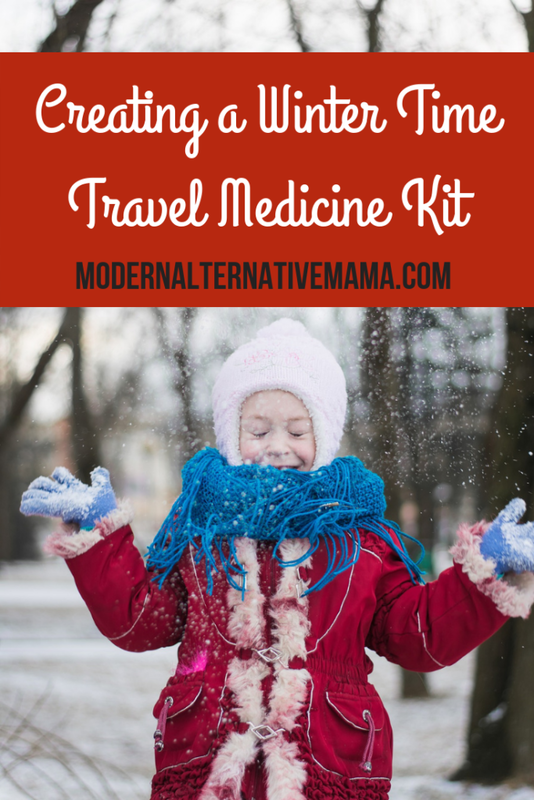 For the “worst case scenario” — which could be getting even a cough at your mother in law’s or a more serious event — stock up on a winter travel medicine kit, with all of the below essentials. For the stomach bug, have activated charcoal handy. Activated charcoal will pull out anything in your stomach that doesn’t belong there, bind to it, and bring it out the body. It is your go to for an intestinal issue. Start with one capsule dissolved in yogurt, kefir, water, or juice for your little one. See if it resolves, and if not, add another in 2-4 hours. Repeat up to 4 times per day. An adult can double this dose. I always use echinacea tincture when I will be in situations where I question the germs around. That means hospitals, clinics, and places with heavy, dirty traffic, not places with actual dirt, which is great for you. So, your fully vaccinated sister-in-law’s house is a good idea. Do a maintenance dose suggested on the label. For serious infections, have oil of oregano with you. This oil tastes strong as it kills infection. It is known to aid in bacterial, viral, and fungal infections, digestive pains, and sore throats. Follow the label directions for any of these issues. For a skin infection or other issue, bring colloidal silver. Spray in the throat daily, and use on any burns, cuts, scrapes, bites, stings, or rashes. There are few things that vitamin C won’t cure, so stock up on this also. I like Pure Radiance’s powder, which doubles as a tasty drink. Take it at the first sign of, well, anything, and continue through the course of the illness. Should a fever arise, you need to have something on and that will resolve it quick before your Aunt Mable will start waving the Tylenol around. Finally, pack a earthley.com/product/black-drawing-salve-stick/”>drawing salve that will remove everything from a splinter to a rash. In reality I would like to pack so much more than this, but I don’t want to get made fun of any more than I already am for my “Google medical degree.” So, for my final advice, it’s this. If you are traveling for the holidays or just to have a good time — do not worry, and do not share. Do not worry about others finding out about your natural medicine decisions, and do not overshare. That means take your remedies in your own room, don’t tell them exactly all of the [amazing] benefits of high dose vitamin C, nor explain to your mother why you declined the flu shot. Sometimes, people just don’t get it until they do. And for your vacation, that’s okay. You are there to have a good time and enjoy loved ones, not explain yourself. So, be prepared and have a healthy time. 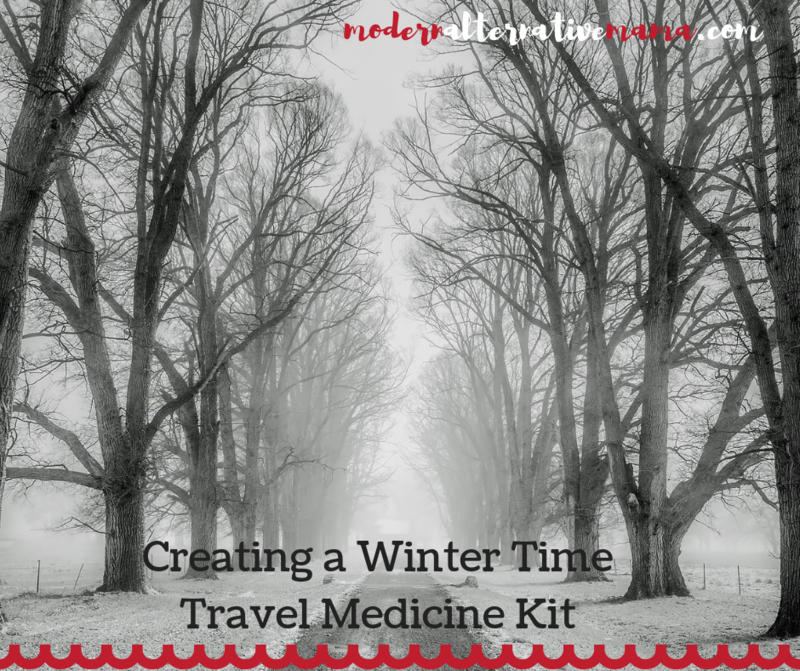 What is in your winter time travel medicine kit?